Lose That Holiday Bloat and Boost Energy in 10-Days! Freedom from joint and muscle pain, headaches, etc. Loss of puffiness in the face and around the eyes & lots less bloating. Loss of 3-7 pounds of weight without starving yourself or being hungry! Dr. and Jeanne Peters take you step by step through how to improve your health, naturally. The book is a culmination of over 80 years of education and life experience from Dr. and Jeanne Peters. It is a framework for a rich, optimized life. It is about balance and empowerment. It is full of good news, namely that 70 to 90 percent of chronic degenerative disease is related to lifestyle, which means that you have CONTROL over these processes. You can CHOOSE to live a healthy lifestyle and not to suffer these disabling and life-shortening diseases or at least ameliorate and/or postpone their effects. 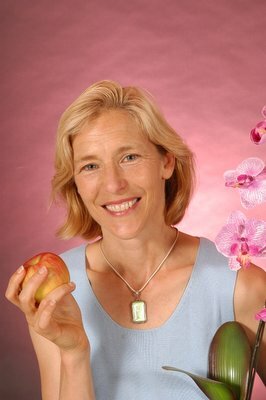 Webinar: Why Organic Skin Care Matters! An interview with organic skin care expert Jama Russano who is currently General Manager for the Skin Care Division of Thorne Research, Inc. and owner of EcoNatura Aromatherapy where she has created clean organic, estrogenic free skin care for consumers who are chemically compromised, celiac or gluten sensitive/allergy prone after suffering for years from multiple sensitivities & health problems due to an adverse reaction to a medical device implant. She is on a mission to educate the public about the chemicals that are wildly used in everyday consumer products that can impact immunity. Receive 3 BONUS GIFTS when you sign up!